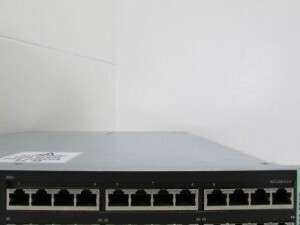 Enterasys SK1208-0808-F6 used in good working condition with a 90 day warranty. Multiple units available. For a quote or any questions you may have about this equipment, please feel free to call me @ 877.650.4041 . I am available to answer your questions 8-5 PST. Free Mainland US Shipping if you elect to buy it now!! ENTERASYS SK1208-0808-F6 S-Series S150 Class I/O-Fabric Module, 1280Gbps Load Sharing – 8 Ports 10GBASE-X via SFP+ and two Type2 option slots (Used in S4/S6/S8). Fits in a Enterasys S4 and S8 Chassis. 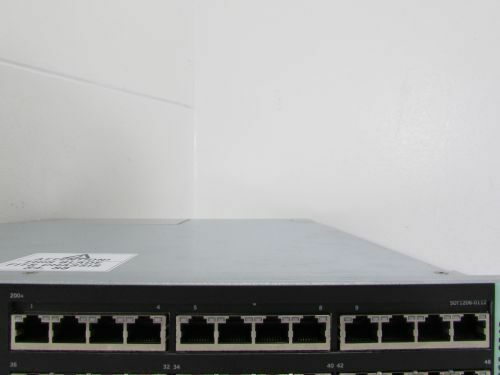 Enterasys SK1208-0808-F6 for Sale at Northwest Remarketing. This entry was posted in Enterasys SK1208-0808-F6 and tagged chassis, Enterasys, load sharing, module, northwest remarketing, nwrusa.com, SK1208-0808-F6 on May 14, 2014 by nwrusa. Enterasys S8 SOT1206-0112 in stock! Enterasys S8 SOT1206-0112 used in good working condition with a 90 day warranty. Multiple units available. ENTERASYS S-Series Option Module (Type1) – 12 Ports 10/100/1000BASE-T via RJ45 with PoE (802.3at) (Compatible with Type1 & Type2 option slots). Fits into both optinal slots on a Enterasys ST1206-0848 card. Enterasys SOT1206-0112 for Sale at Northwest Remarketing. This entry was posted in Enterasys SOT1206-0112 and tagged Enterasys, module, northwest remarketing, nwrusa.com, PoE, slots, SOT1206-0112 on May 14, 2014 by nwrusa. 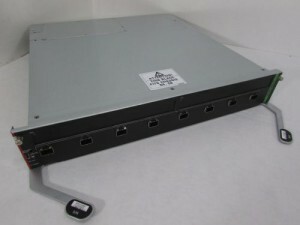 Enterasys S8 ST1206-0848 US $10,100.00 used in good working condition with a 90 day warranty. Multiple units available! If you have any questions about this equipment, please feel free to call me @ 877.650.4041 . I am available to answer your questions 8-5 PST. Enterasys ST1206-0848 S-Series S150 Class I/O Module – 48 Ports 10/100/1000BASE-T via RJ45 with PoE (802.3at) and two Type2 option slots (Used in S4/S6/S8) Unit fits into Enterasys S4 and S8 Chassis’s. 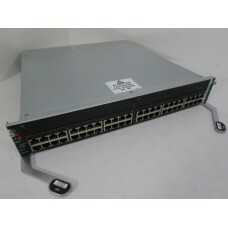 Enterasys ST1206-0848 for Sale at Northwest Remarketing. This entry was posted in Enterasys S8 and tagged Ensterasys, S-Series, S150., S8, ST1206-0848 on May 13, 2014 by nwrusa.